The term “westside” covers a lot of ground, starting with the expansive Atlantic Station to the revitalized commercial district along Marietta Street and Howell Mill Road. Once a predominately industrial and meatpacking district, the area is now awash in oversized warehouses that lend themselves to loft apartments and work studios. Mixed in with the old are new complexes, stores and restaurants that have turned a once dingy corridor of rail and truck traffic into one of the hottest sections of town. 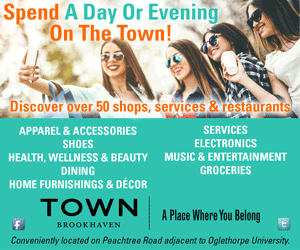 The largest of the new is Atlantic Station, 138 acres of shopping, entertainment, dining, working and living space carved out of the former Atlantic Steel site in 2005. On the edge of the development is one of the Westside’s new landmarks: A replica of Paris’s Arc de Triomphe that houses the private Millennium Gate Museum. One of the oldest properties in the area is the Goat Farm, a 12- acre swatch of land alongside the train tracks where former industrial buildings have been turned into art studios, performance venues, a coffee shop and the backdrop for many “Hunger Games” scenes. The refurbished King Plow factory at 887 West Marietta Street is another example of re-use that turned an 1890s structure into a warren of offices, art galleries and theater space. The 1910 White Provisions Company building at 1100 Howell Mill anchors a complex of retail and restaurant spaces, as well as condos that afford residents the option of walking home after a late night at the nearby hip-hop nightclub, Compound. Hungry? Westside is now home to some of the city’s top and favorite eateries, starting with the continually top-rated Bacchanalia and its market, Star Provisions. Since it opened as the urban pioneer restaurant in 1992 when not much else existed, Bacchanalia has been joined by a bevy of great dining spots, including Cooks & Soldiers, Le Fat, Five Seasons Brewing, The Optimist, JCT. Kitchen and Marcel, one of the most expensive steakhouses in town where a Porterhouse for two costs $125.